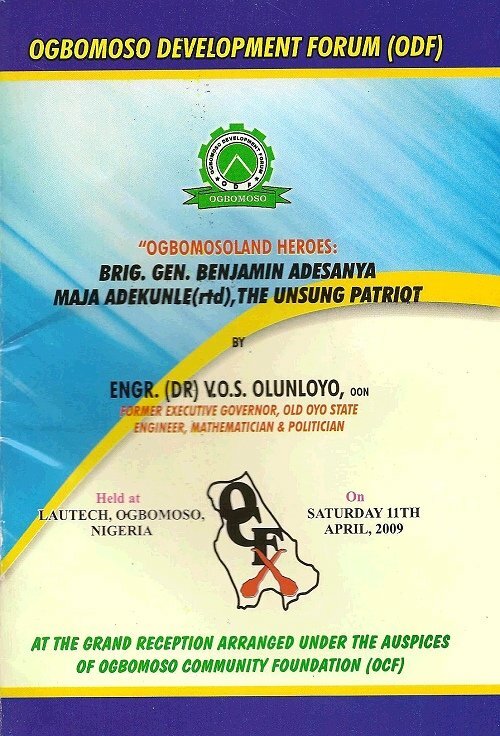 On April 11, 2009, under the auspices of the Ogbomoso Development Forum (ODF) and the Ogbomoso Community Foundation (OCF), Ogbomoso citizens and friends celebrated one of the many Ogbomoso Heroes. On this occasion, it was the Life and Contribution of Gen. Benjamin Maja Adekunle (Retd) that was celebrated. Reknown Engineer and Mathematician, Dr. V.O.S. Olunloyo delivered a lecture that examines the life of Gen Adekunle and his many exploits during the Nigerian Civil War, and his positive contributions to the Nigerian state.